We will start the ride on country lanes for a few miles as make the climb to Foxhill where we pick up the Ridgeway. 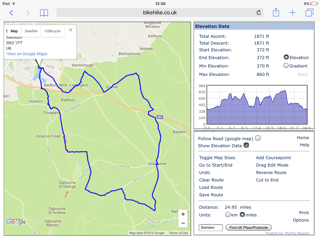 We follow the Ridgeway for a mile or so then cross the downs to pick up the Baydon road from there we join the nice long descent down the bridleway to Aldbourne for our coffee and cake stop. Climbing out of Aldbourne for a few miles we follow the winding bridleway towards Ramsbury. We then pick up a country lane for a couple of miles and head back towards the Ridgeway. We ride the Ridgeway for a while and make the descent down past the radio mast to join the old railway line and head back to Coate Water. All are welcome, nothing technical, with 1900 ft climbing. The morning started of foggy but what I had planned wasn’t going to be dull. As I was first at Coate Water I did my bit of faffing around and though the park was busy I couldn’t see any mountain bikers (always a worry). I needn’t worry as the first to arrive was Claire who I hadn’t seen since her off an Brechfa, the next to arrive was Gary Yeates then I could see Gary Duller and Tom Scott heading towards us, and through the trees I could see Sean getting his bike out of the Van. After a quick briefing the six of us set off through Coate Water and up to Chiseldon along route 45. Skirting around the outside of the village we rode out towards Badbury and up to Liddington. The fog hadn’t lifted so there was nothing to see along the road under the castle.Being quite a cold morning the road climb was a nice warm up. We joined the Ridgeway at Fox Hill and started the climb to the top, the descent on the other side is always good fast fun, not this time though a third of the way down we took a left down a long fun single track which brought us back down to the road. After a short ride along the road we take a right turn along a bridleway just before Bishopstone village. As we climb up through the Coombe it’s becomes noticeably still almost spooky and very quiet, That does last long as the groups conversation (me not included) turns to Justin Bieber. (Don’t ask). As we make our way out of the Coombe a buzzard over head drops his prey just few yards in front of us, the prey unfortunately was dead and so was the Justin Bieber conversation. Heading along the Ridgeway we make a slight detour along some single track in the woods parallel to the path, this short section is always a nice alternative if the woods are dry. Heading past Wayland Smithy we leave the Ridgeway path and ride over the downs towards Lambourn. This bridleway went on for a couple of miles through undulating countryside until we reach a farm and the lane which leads to Lambourn. As we pass the farmers house a Labrador and Doberman come bounding across the field barking,this can be a bit daunting especially if you don’t like dogs, someone then shouted where’s your mate, this was to the dogs who were getting closer as I looked across a mastiff (the mate) also came bounding towards us. The pace of the ride seemed to pick up slightly as we passed their field. We were never in any real danger as they do this all the time to people who pass by, and as Tom had pointed out on a previous ride “they stop at the fence” which the first time I encountered them was no real comfort as the fence was only about a foot tall! We carried on past some very nice houses and stable yards as we entered Lambourn. On the edge of the village is a bit of a gem, a wooded area with some great single track and some pretty crazy jumps and drop offs, as we were only passing through we only rode the single track, though Gary D did venture off for a bit. (we never did get to the bottom of what he was up to). 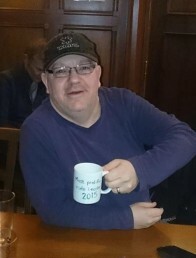 We made our way to the cafe for bacon sandwiches, mugs of tea and some nice cake. As we left the cafe I think the majority of us were still feeling the cold so the nice road climb out of Lambourn was just the job to get us warm again. We left the road to follow a bridleway back down the valley and up the other side to the top of some gallops with far reaching view across the countryside. We made our descent to join the very rutted bridleway towards Russley Park, this particular bridleway is a bit of a slog in places and it was good to get back onto a country lane, albeit for only a few hundred yards before we make the climb out of Russley Park over the downs and towards the Ridgeway. The first bit of this bridleway is used mainly by horses so the path is quite a climb over bumpy ground, but once you get to the top the views are great. After having a quick breather and a bit of a geography/history lesson we make the descent down towards the Ridgeway, this is a chalky descent with quite a few ruts thrown in for good measure and can be lethal in the wet and trying to pick a suitable line is also a challenge. Luckily we all got down safely. We rejoin the Ridgeway for the climb towards Fox Hill. Once at the top I could see Tom was itching to get past and make the descent to the car park, (He loves that Descent), but I had other plans, something a bit different. We took the path off to the right crossed the road and down the bridleway along the top of Coombe and dropped down into Hinton Parva, in the dry this is a great descent and everyone enjoyed it, especially Gary Yeates, who raced down thinking I was filming him but alas I was still at the top shutting the gate. Once we regrouped at the bottom those that know the area where commenting about what was to come. The planned route back was on the road with one particularly nasty road climb, so I gave them the option of a alternative flat route back but it would be a bit longer, they didn’t take much persuading. We made our way down a quiet lane which eventually turned into a bridleway along some fields. With the Ridgeway and the nasty road climb far away to our left we made our way along more country lanes to Lower Wanborough and back to civilisation. We headed back to Coate Water via the cycle track past the GWH. The route with the extended section was approx 34 miles with approx 2000 ft of climbing, It was a great day with great company,and no mechanicals. Everyone enjoyed it. And with the final words from Claire, “I will sleep well tonight”, job done. 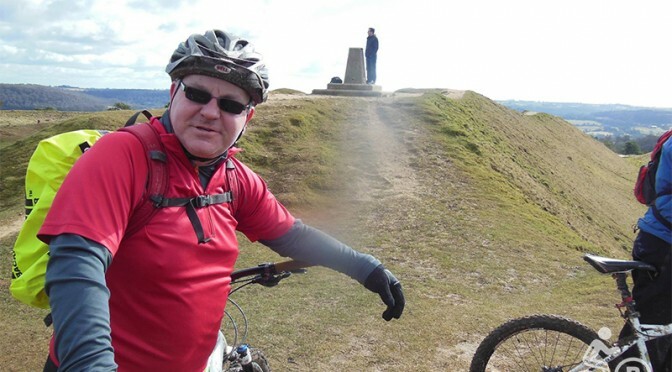 Phil Allum will be leading this novice friendly ride from Coate water out onto the Malborough downs. The route has been drawn up to be non-technical, fairly flat and well surfaced. There will be one hill, but if climbing isn’t your thing then feel free to push up, it’s always a good excuse to have a chat. This is a novice friendly ride, so with that in mind, please don’t come expecting gap jumps, rampaging down rock gardens or overtaking Chris Hoy. There won’t be anything like that on this ride. 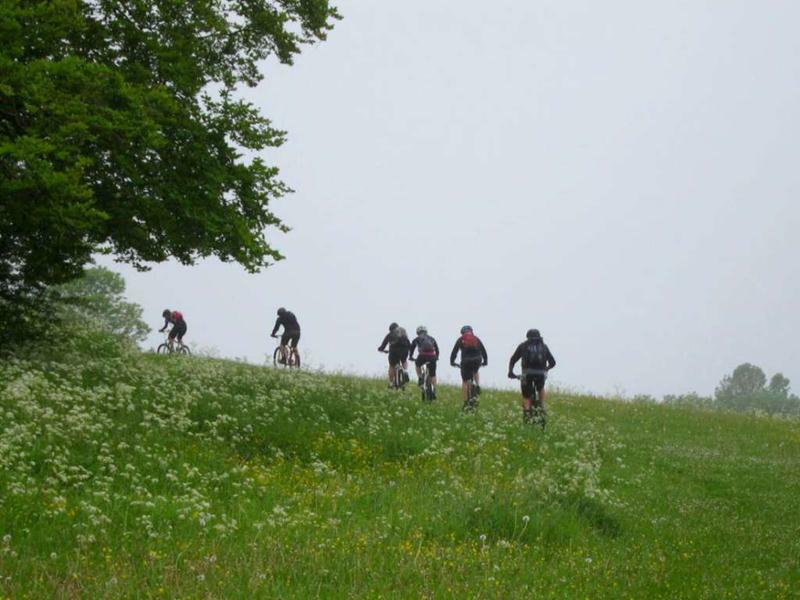 You will need a mountain bike (this is a mountain bike club ride after all), as some parts of this ride would be rather uncomfortable on anything less. We’ll take the old railway line past Chiseldon, out to the Ogbournes, then take Smeathes Ridge up to Barbury Castle. After a rest to take in the views, it’s back on the bikes – but don’t worry, it’s downhill all the way back to Coate water. If you are new to the sport, new to the club or even new to Swindon and fancy 17 flat(ish) miles then this could be just the ride for you! 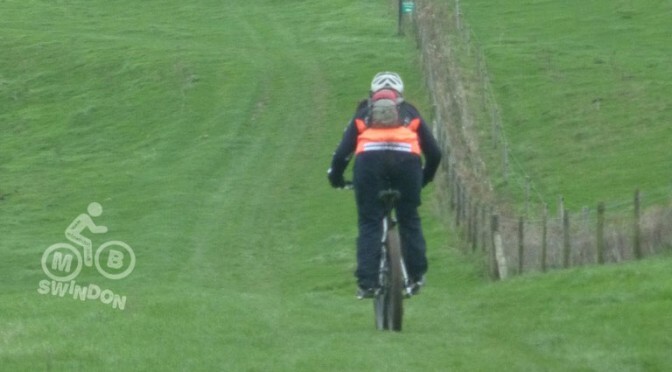 Novice friendly but be prepared for slippery, muddy conditions so proper mountain bike tyres are essential. There are a few hills to climb, and a cafe stop towards the latter part of the ride which I’m sure we will deserve! However as it is in the final few miles of the ride feel free to bring snacks and water with you. Look forward to seeing you for a bit of fresh air. 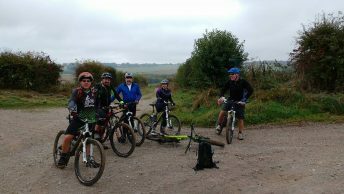 An MB Swindon club ride! 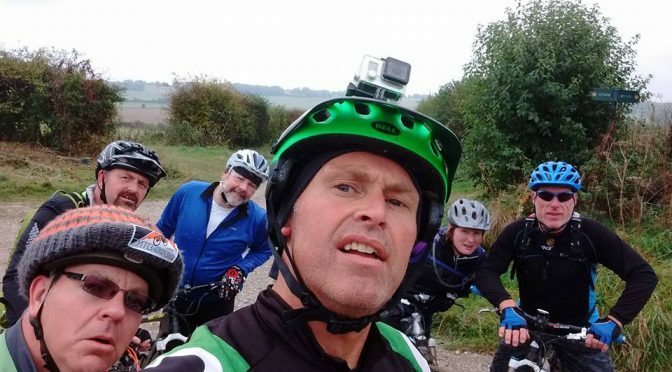 Tom Scott will be leading this ride to look at some meteors in the night sky. 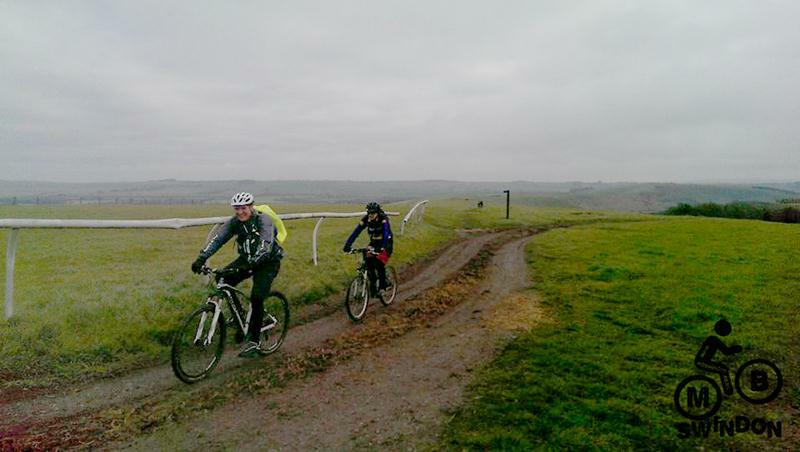 The ride will be timed to take in a coffee break at Marlborough and a meteor viewing opportunity at Barbury Castle! The ride is planned to be 25 to 30 miles (40-50km), depending on weather. As such, we will be out for about 4 hours and you will need lights. The ride back is not technical so a decent set of commuting lights will suffice. Due to the distance involved and light conditions this ride is not novice friendly. Darkness adds an extra dimension to off-road cycling, so please ensure that your bike is working properly and you have spare tubes etc. Tom Scott will lead this traditional club ride featuring plenty of your most loved (and hated!) local landmarks. Subject to good weather, the approximate route will be: Croft, Coate, Chiseldon, Barbury, Ogbourne, Radio Mast, Ogbourne, Earthline, Rickety Bridge, Marlborough, Rockley, Four Mile Clump, Barbury, Burderop, Ladder Lane, Croft. As you can see, this means lots of climbing and descending. This is a longer than usual club ride but it is suitable for most riders as it is not technical, and we will take our time and wait at every junction, turn and road crossing for the slower riders to catch up and recover. There will be a Cafe stop in Marlborough at roughly the half way point. As always, bring food, drink and spares and anything else you might need. As a prelude to Valentine’s day, show your love for your mountain bike by joining John Crocker for a novice friendly ride. 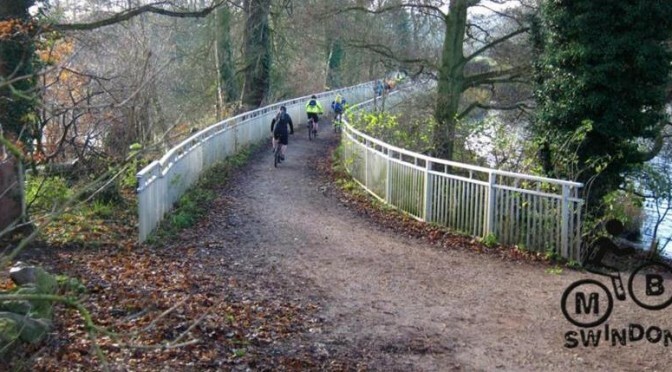 We will start at Coate Water, ride up to Barbury, down Smeathe’s ridge and back to Coate along the old railway track. If the group decide, we can have a coffee break at the farm shop in Chiseldon. This ride is about 17 miles in length. Although mostly off-road, we should avoid the mud but as always at this time of year, the ground will be wet. The usual novice friendly attributes will apply: slower riders dictate the pace, and it is perfectly OK to get off and push!